The newly introduced waterproof cable glands in China are no less than those imported from abroad. Waterproof cable glands are mostly used in industrial equipment in our country. They are most common around us, such as street lamps and street sprinklers. Such waterproof cable glands are needed in these equipment. Because of the good waterproof performance of waterproof electrical wire connectors, the overall sealing is very good, it is very reliable and safe to use, so it has been used by many enterprises at fixed points. At present, the quality of national defense water equipment products is not surprising, therefore, the requirements of various enterprises for products will be different. 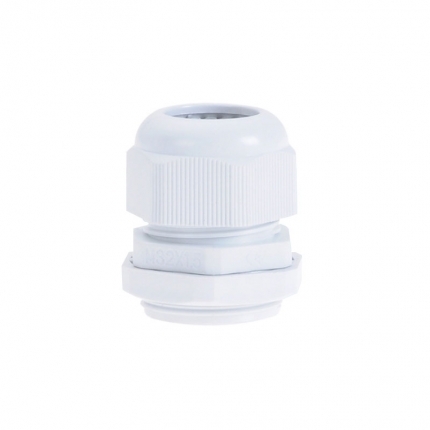 As for this kind of waterproof cable gland with strong safety and reliability, it is very rare in the current market environment. The main application direction of waterproofing equipment decides the different material quality. In some areas, only electrical wire connectors with better waterproofing effect are needed. In other areas, connectors not only have certain waterproofing property, but also have good dust-proof effect. Therefore, customers can choose products according to their most basic needs. At present, the waterproof electrical wire connector produced and sold in our country can work continuously for about two weeks in the space of about 10 meters water depth. If it is put into the environment of 100 meters water depth and taken out after destructive functional testing, the waterproof electrical wire connector can still maintain its basic product performance and has good functional usability. When using waterproofing cable gland, in order to better serve the regional waterproofing equipment products, in the process of installation and connection, solid substances larger than 1 mm should be avoided to enter the connector, in order to avoid damage of dust substances, so as to fail to achieve the normal waterproofing effect.